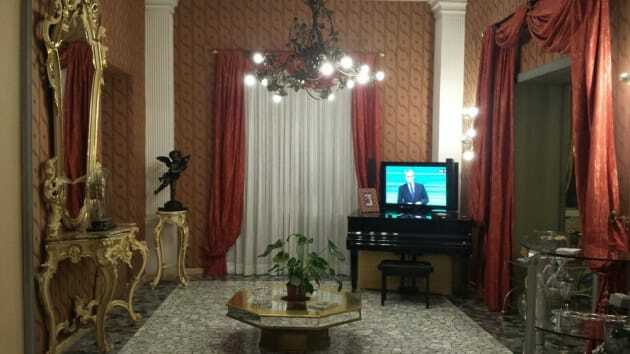 Make yourself at home in one of the 18 air-conditioned rooms featuring minibars and DVD players. Complimentary wireless Internet access is available to keep you connected. Bathrooms have complimentary toiletries and hair dryers. Conveniences include phones, as well as safes and desks. 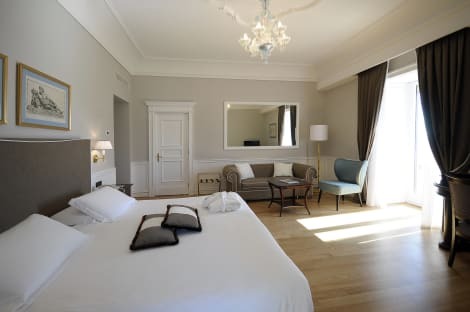 The Eurostars Hotel Excelsior offers real luxury and a great service from its professional staff who speak good English. The elegant guest rooms are spacious and comfortable. Deluxe rooms have a sea view. You can enjoy a delicious meal at the restaurant. The hotel also features a bar, a terrace, and function rooms. Lungomare Caracciolo is a great choice for travellers interested in sightseeing, shopping and food. This neighbourhood is also quite popular for families. 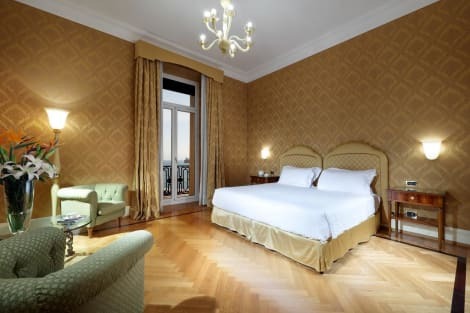 Overlooking the spectacular Bay of Naples and housed in an impressive Art Nouveau building, Grand Hotel Santa Lucia is an unforgettable 4-star destination. Winner of a TripAdvisor Certificate of Excellence, the luxury rooms come with free wi-fi, interactive TVs and air conditioning. Sample local specialities and traditional Italian dishes in refined settings at the Santa Lucia Restaurant and, after dinner, unwind with a glass of locally sourced wine in the elegant hotel bar. 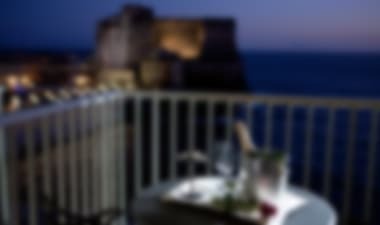 Set on Naples' seafront overlooking the Mediterranean, this smart 4-star hotel is a stone's throw from the Castel dell'Ovo and within easy reach of the city's many excellent restaurants, museums and the historic centre. Take in the panoramic views from the rooftop pool and sundeck, or while enjoying an evening meal in the restaurant. Unwind with a drink or light meal in the hotel lounge, stay active with a trip to the 24-hour fitness centre, or indulge yourself with a massage in the on-site spa. 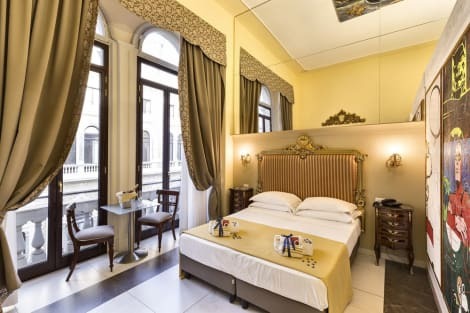 The Royal Continental is set right on Naples' seafront promenade, in a quiet neighbourhood. 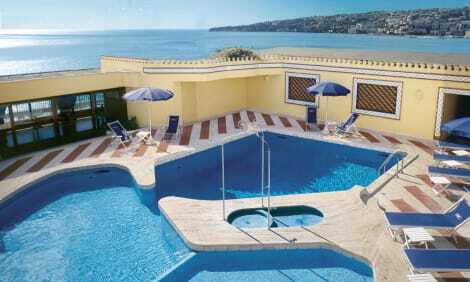 It offers a stunning seasonal rooftop pool, with panoramic views across the Bay of Naples and Castel dell'Ovo. Rooms are air conditioned and spacious with a modern design. They all feature a private bathroom with hairdryer. Some offer a balcony overlooking the Mediterranean Sea. Free Wi-Fi is available. A sweet Italian breakfast is served each morning. 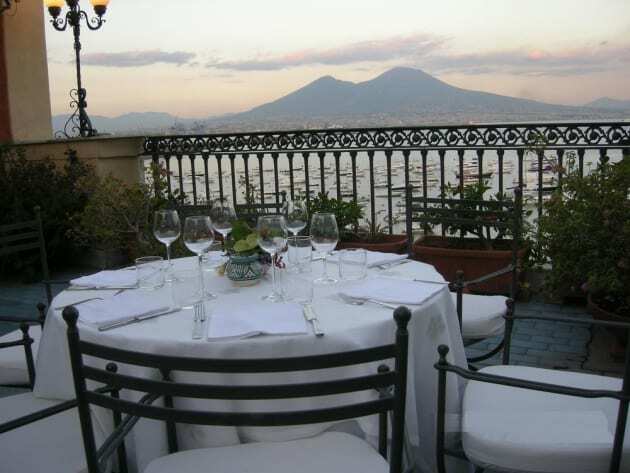 At the restaurant you can enjoy Neapolitan dishes and international cuisine for dinner. 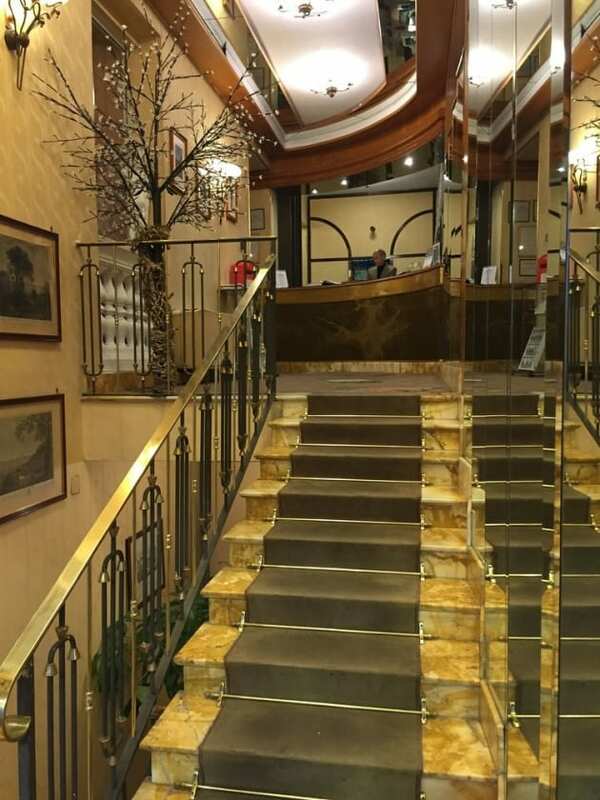 Hotel Royal Continental also includes a gym, 530-seater auditorium, and numerous conference and meeting rooms. Secure parking is available on site. 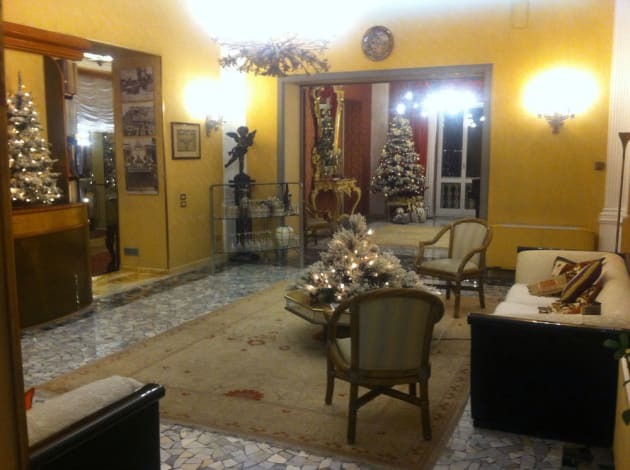 The hotel is 500 metres from Naples' famous shopping district and the city’s main cultural area. The port for ferries to Capri and Ischia is just 15 minutes away on foot. Satisfy your appetite for lunch or dinner at the hotel's restaurant, or stay in and take advantage of the room service (during limited hours). A complimentary full breakfast is served daily from 7:30 AM to 10:30 AM.